Wine of Portugal. Complexity, fruit, body, aromatic intensity. Original legacy wines. 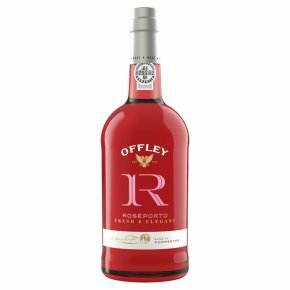 Offley, a pioneering, contemporary Porto wine brand, with almost 3 centuries of heritage and experience, became famous due to Joseph J. Forrester, who was later bestowed with the title of Baron by the king of Portugal, for his fundamental role in the expansion of both Offley and the Porto wine. This elegant rosé porto has a very intense bouquet with prevalence of tropical fruit and exotic wood. In the mouth it has excellent freshness, with a fine harmony and a lingering finish. Offley rosé is best served in a large glass, well chilled or on the rocks.